Sheaffer sub-brand Travelers. Lever filling system works well. Excellent condition despite very thinly plated trim. 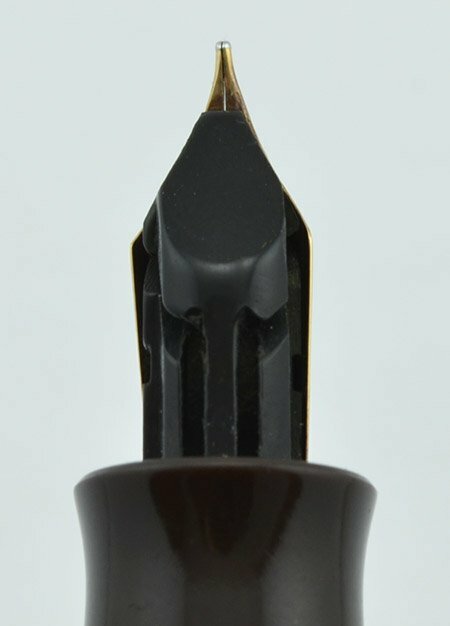 Fitted with NOS Eversharp 14K Fine nib. 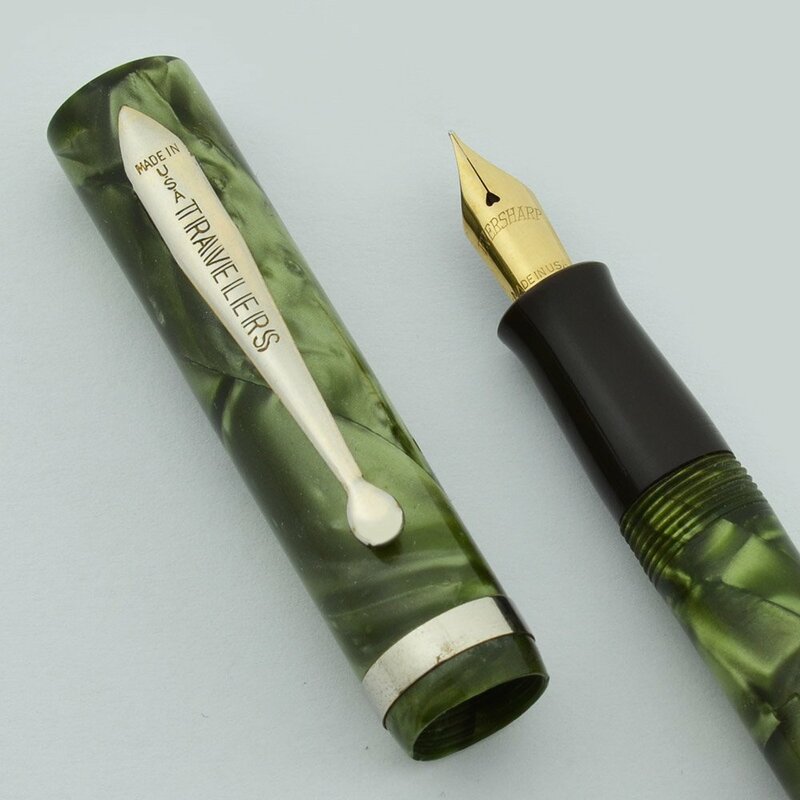 Manufacturer and Year Sheaffer created the Travelers brand in 30's or 40's. Color Green Marbled. Very thin gold plated trim. 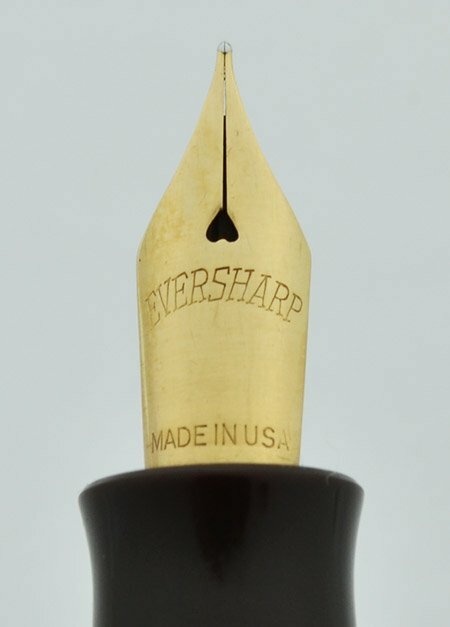 Nib New Old Stock Eversharp 14K Fine. Only a small amount of flex, suitable for every day writing. You usually find these Travelers pens with steel nibs, but this one was missing a nib when we acquired it, so we gave it an upgrade with a new Eversharp nib. Condition Excellent, though the plating on the trim is worn to a silver color. Only light handwear on plastic with good color. End of barrel has a radiating pattern of fissures, and the edge of the cap rim is slightly chipped. Brassing on lever. Clip and cap band are shiney but only slightly gold colored with some hand wear.